A-sensor : For detecting hot-air temp. C-sensor : For detecting inlet temp. ･ This is the heater for generating the high temp. hot-air that max. discharge temp. 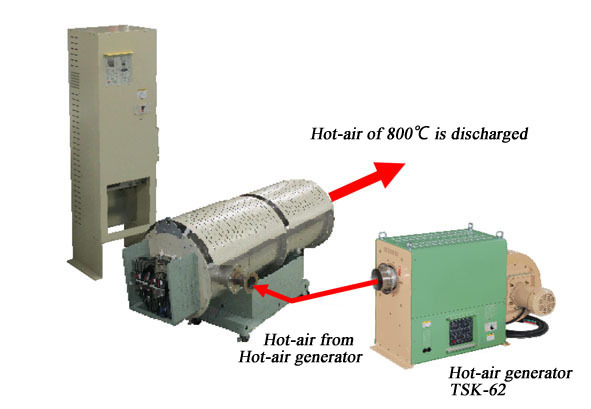 is 800ﾟC (at the suction temp. 200ﾟC - 300ﾟC) and max. 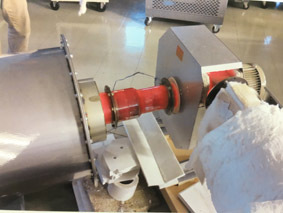 suction temp. is 600ﾟC. generator etc. that the high temp. is required. 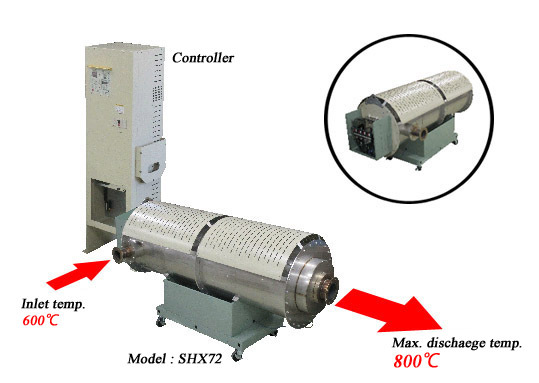 ･ Heater and blower are controlled and managed perfectly by the stationary controller. 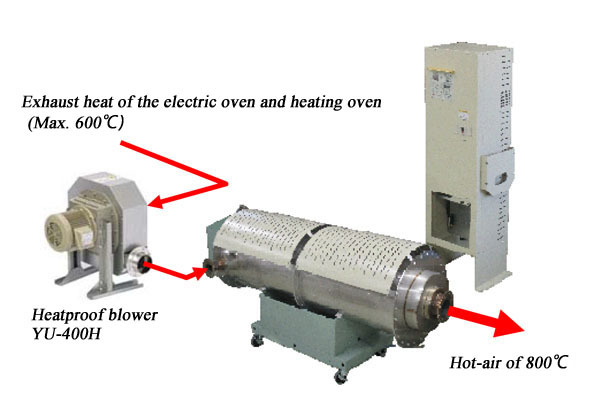 ･ Combination with the heatproof blower YU-H series.